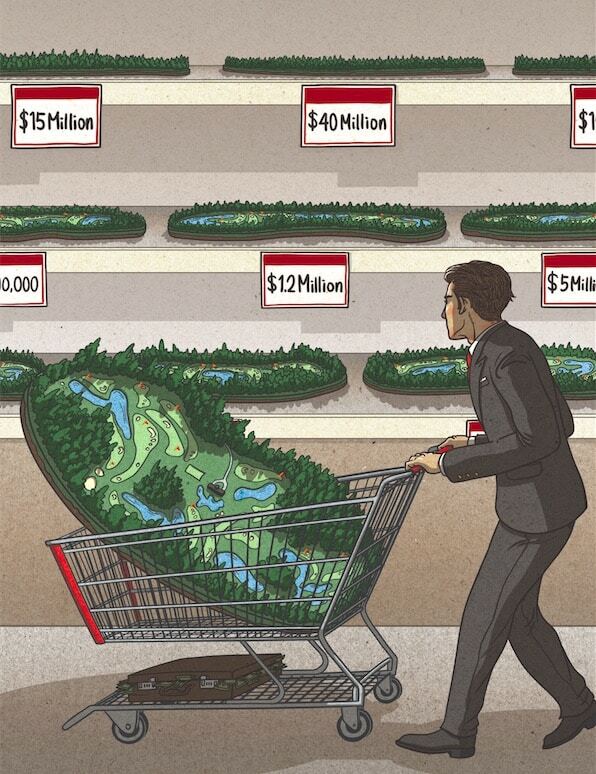 “Innovate or die” is a common business axiom that readily applies to the ever-changing golf resort landscape. 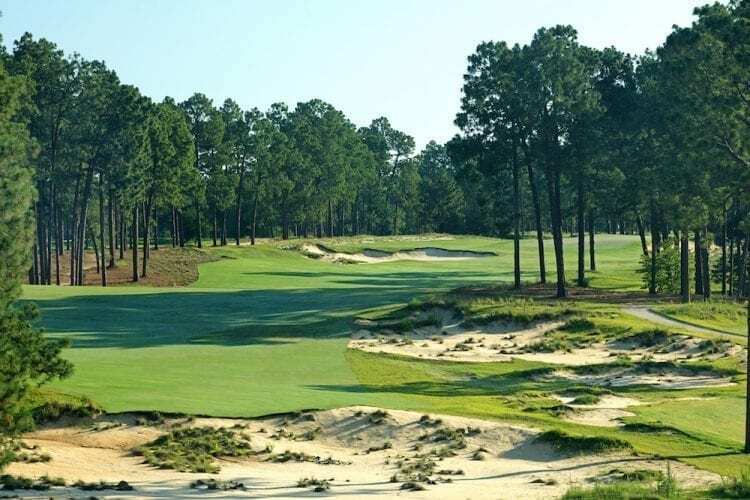 It would have been easy for the iconic Pinehurst Resort to stop innovating after the Coore & Crenshaw renovation of its famous Donald Ross-designed No. 2 course and the 2014 U.S. Opens—men’s and women’s—that followed. 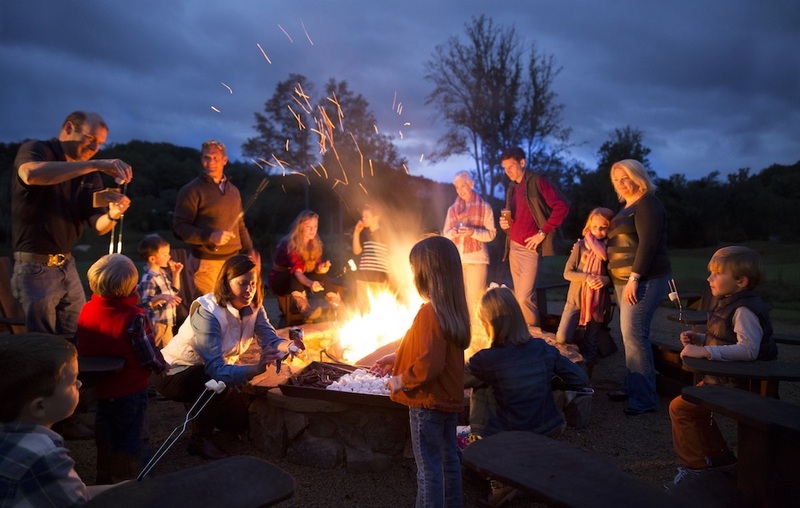 Instead, owner Bob Dedman Jr. decided to double down, launching a long-term improvement plan for the 123-year-old resort that included new purchases, renovations, and additions. The latest piece of the plan was a redesign of another Ross course, No. 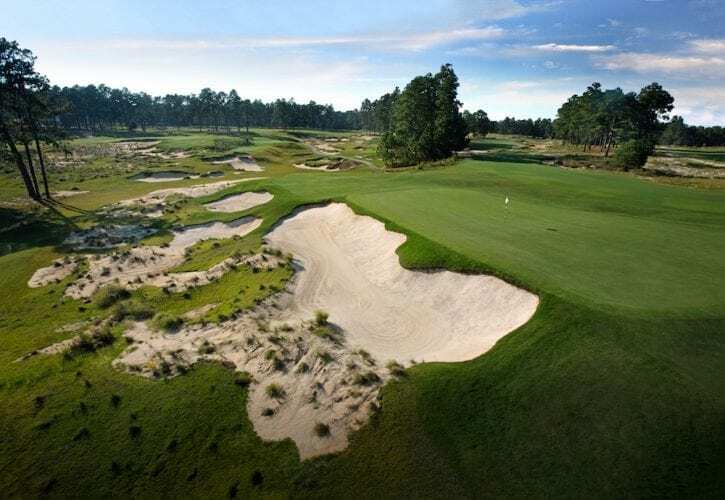 4, recently completed by Gil Hanse. No. 4 was a far cry from the Ross original that opened in 1919 to great reviews. The layout was shuttered during the Great Depression, Robert Trent Jones did a redesign in the 1970s, and Tom Fazio renovated it again in the 1990s. Not only had much of the Ross been removed over the years, but much of No. 4’s original land was no longer available, with pieces taken over by real estate and the expansion of No. 2. Because of that, Hanse is quick to say his work was a renovation—not a restoration: He and partner Jim Wagner redesigned the course using Ross’s style, design ethos, and photographs from the original design, but it was impossible to fully recreate the original due to those land constraints. Hanse also explained that No. 4 was one of the biggest earth-moving projects his crew had undertaken—an unusual claim from an architect known for minimalism. “We looked extensively at aerial photos and maps from the archives,” he says. “We recreated the original ridges and valleys in the landscape and designed around those features.” Every day of construction, Hanse insisted that his crew take the time to look at the neighboring No. 2—Ross’s lifelong project—to inspire their shaping work. The new No. 4 has wide fairways, large undulating greens (much more receptive than No. 2’s), and large sandy waste areas in place of the small pot bunkers Fazio introduced in the ’90s. 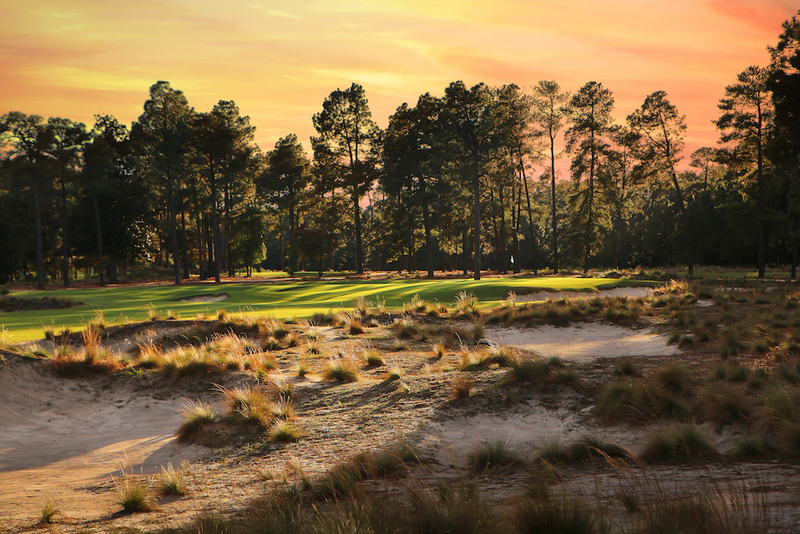 A player in my group summed things up perfectly: “It’s as if they created ‘the best of Pinehurst’ with the elements from No. 2, Pine Needles, and Mid Pines.” It’s true. Everywhere you look No. 4 offers reminders of Ross’s best courses in the area but on a big, modern course that complements the classics. If you played No. 4 before, you won’t recognize it today. 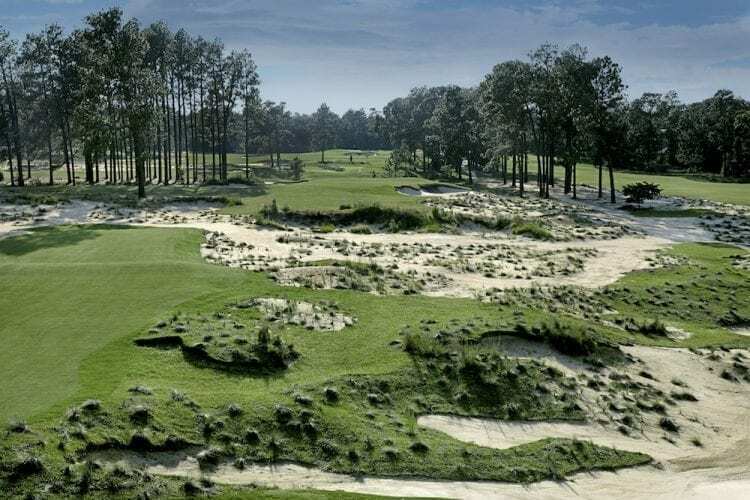 The design is greatly improved and much more in keeping with the Ross style we’ve come to love in the Sandhills of North Carolina. Dedman and the Pinehurst team keep giving us reasons to come back.